Pottering among the paint pots and tired old tools in the ramshackle shed has long been dad’s escape route, but with many fathers now seeing the shed as a second living room the value of its contents have mushroomed. The Great British garden shed is just as likely to house a laptop and iPod as a ladder or weed killer and Swinton is advising fathers not to lead insurers up the garden path when it comes to the value of expensive items kept in the shed. Bikes, sprinkler systems, electric hedge clippers, cordless drills, strimmers, jet hoses, summer lights, gas BBQ’s, digital radios and even laptops, iPods and TVs have become everyday items housed in the shed. 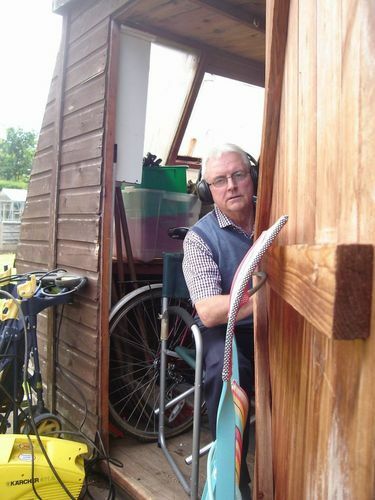 A poll by the leading high street insurance retailer, Swinton, has revealed that the value of the average garden shed has trebled in the last ten years as a direct result of wireless internet and the growing trend for smart push bikes as more dads dabble with the carless commute to work. From the 2,000 males surveyed*, 30% of them estimated the like-for-like cost of replacing the contents of their garden shed to be over £700, 37% at over £500, 22% at over £1,000 and 6% over £1,500. Only 5% valued the contents at less than £500. •	Lock away all tools and equipment and ensure your shed is securely locked when not in use – cover windows with wire mesh on the inside. •	Consider bringing the most expensive items into the house when you go on holiday. •	With 470 branches nationwide Swinton is the UK’s largest high street insurance retailer. •	Unlike many other companies in the financial services industry, Swinton is committed to keeping its branches open for business, and being part of the community. This press release was distributed by ResponseSource Press Release Wire on behalf of SKV Communications Ltd in the following categories: Home & Garden, Personal Finance, for more information visit https://pressreleasewire.responsesource.com/about.